Atom is the smallest building block of an element – it can’t be further broken by any chemical process. Everything you see around yourself is made of trillions-of-trillions atoms. Atoms are so small that, it is not possible to see them with a powerful microscope. Only specialized microscopes (electron microscope) are able to zoom the atoms. 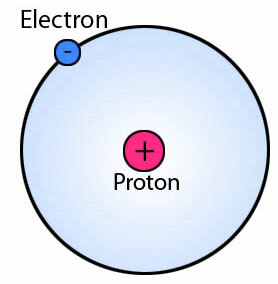 An atom is composed of electrons, protons, and neutrons. Neutrons and protons are held together in the center of an atom called nucleus. But, electrons orbit around atoms at fixed distances called orbits or shells. A neutral atom (without charge) contains an equal number of electrons and protons. The total mass of the atom is concentrated in its nucleus, which is measured in a.m.u (atomic mass unit). One a.m.u is about kilogram. 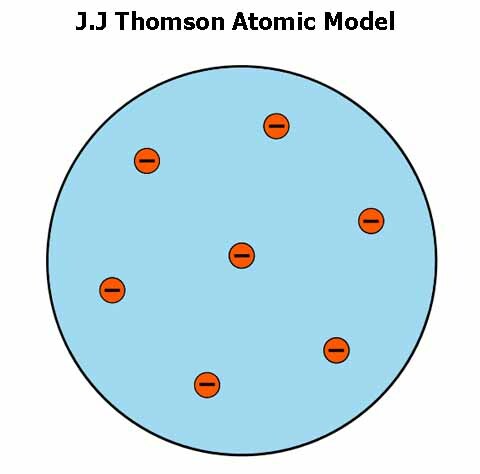 Mass of the atom is equal to the number of nucleons (sum of the number of protons and neutrons). One nucleon – either a proton or a neutron – has a mass equal to 1 a.m.u. Elements are distinguished from each other by the number of protons. If somehow number of protons is changed in an element – as it happens during radioactivity – then the original element will be converted into another element. However, changing the number of neutrons doesn’t change the element itself. Instead, it will give a different isotope of the same element. An isotope of an element has the same number of protons but a different number of neutrons. There 118 different kinds of atoms based on the number of protons, that builds 118 different elements. 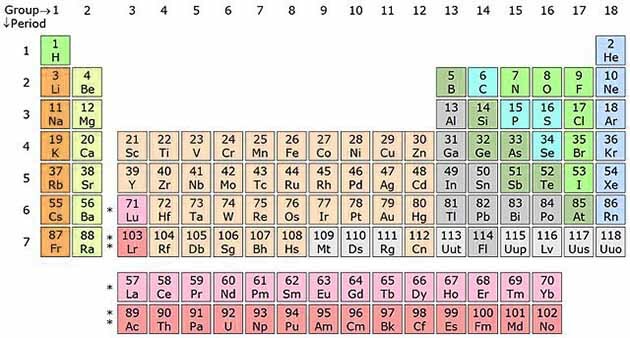 These elements are classified into “Periodic Table” on the basis of similarities between them. Electrons are negatively charged particles, they orbit around the nucleus in certain energy levels. The orbiting speed of electrons is very fast – almost impossible to predict 100% accurately where they located. The number of electrons in a neutral atom is equal to protons. Electrons are 1800 times smaller than neutrons and protons. Protons are positively charged particles. They are held together with neutrons in the nucleus of an atom. They have a mass of 1 a.m.u. Elements are distinguished from each other by the number of protons. Hydrogen is a unique element that contains only one proton in its nucleus, and one electron orbiting around it. If an electron is somehow removed from the hydrogen atom, then only one proton will remain there; you can say a proton is a positively charged hydrogen. Neutrons are charge-less particles. They are also located in the nucleus of an atom – together with protons. The number of neutrons predicts the isotope of an element. An isotope of the element is the same element but with a different mass. Changing the number of neutrons will change the isotope of an element. For example, Hydrogen has three isotopes (Protium, Deuterium, and Tritium) – each one contains one proton but a different number of neutrons. Democritus developed the idea of an atom in 460 B.C. He thought that, if you break a piece of matter in half, and again break that in half, and continue this process. At some point, you will get the smallest piece of matter which will not divide further. He called that piece of matter “Atom”. In 1800’s, John Dalton – an English chemist – performed some experiments on many chemicals. He showed that atoms are made up of elementary particles. He didn’t know about their structure. But, he found some evidence which showed that there are more fundamental particles than an atom. 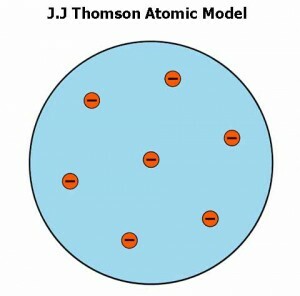 In 1897, J.J Thomson presented a model of the atom. He knew that electrons have a negative charge, so there must be an equal positive charge to make the atom neutral. He thought that electrons are stuck on the protons like raisins in the pudding. In 1911, Earnest Rutherford performed an experiment by bombarding alpha particles on gold foil. He came up with the result that, most of the volume of the atom is empty. The nucleus containing positive charge lies in the center of the atom. The electrons are orbiting around the nucleus in the empty space like planets around the sun. But, there was a problem with his model. According to the theory of electricity and magnetism – opposite charges attract each other so protons will attract electrons. As a result, electrons – gradually losing its energy – must fall in the nucleus spirally, and give a continuous spectrum of light. But in reality, it was not happening. Rule 1 – Electrons orbit around the nucleus at certain allowed distances called “orbits”. Rule 2 – Atoms radiate energy only when electrons jump from higher energy orbit to lower energy orbit. They absorb radiation when electrons jump from lower energy orbit to higher energy orbit. Many people came with different ideas and the atomic model was developing until it reached the present day model of the atom. Abdul Wahab, "What is Atom," in Science4Fun, April 13, 2019, http://science4fun.info/what-is-atom/.